How can you take an everyday lamp and make it really stand out? 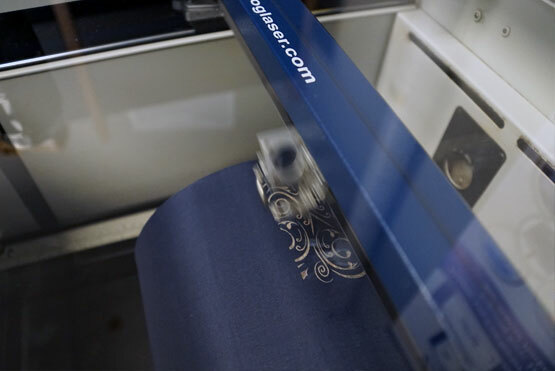 Use your Epilog Laser system to etch a custom design on a fabric shade to give it a truly one-of-a-kind look! Using Epilog's Rotary Attachment accessory, you can create a custom design in a just few minutes that allows the light to pass through the engraved design adding a fun and unique look to any room. 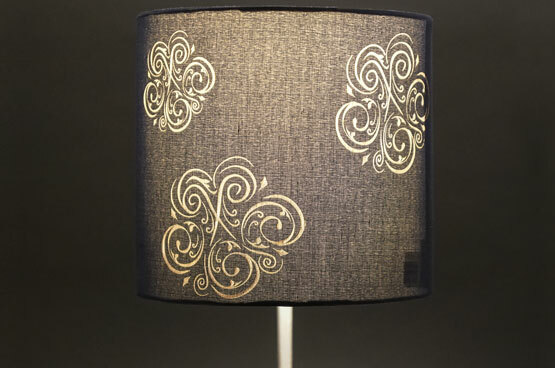 This fabric lamp shade really comes alive when a custom laser etched design is added. 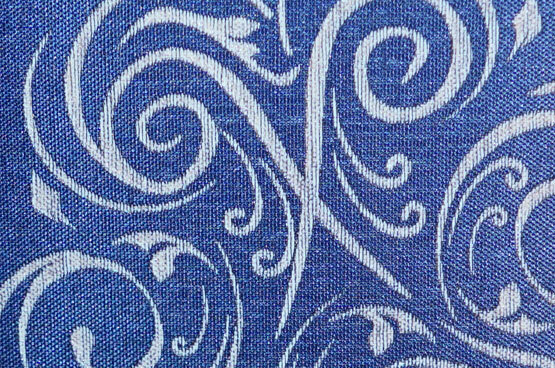 We remove the dye with the laser to create the etched look. When lit, you add a really fun look to your lamp design! Place the lamp shade in the laser on the Rotary Attachment. Fabric lamp shade, we purchased ours through Bed, Bath and Beyond. Start by measuring your lamp shade to set the page size. 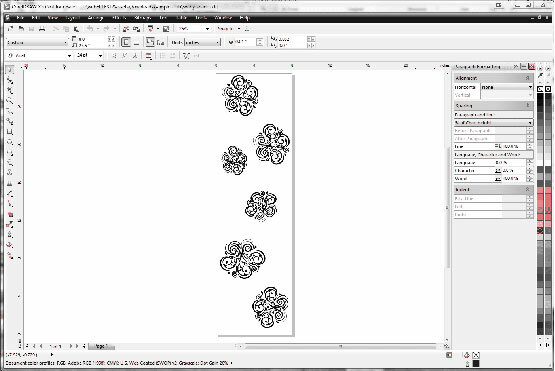 Ours has a height of 8", so we set the page width to 8". The circumference of the shade is 27.5", so that is our page height. 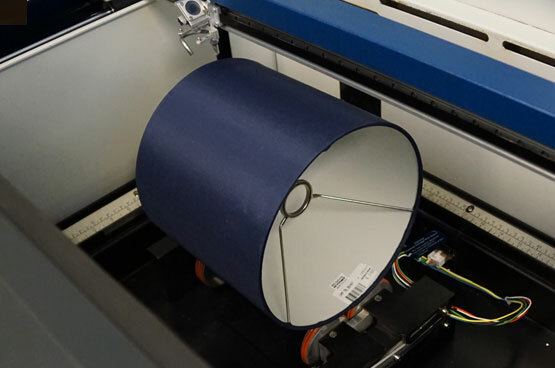 Place your lampshade on the Rotary Attachment in the machine. 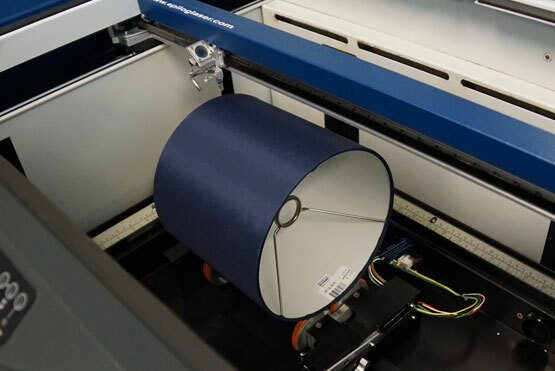 You'll want to make sure that the height of your shade will fit inside the z-dimensions of the machine. 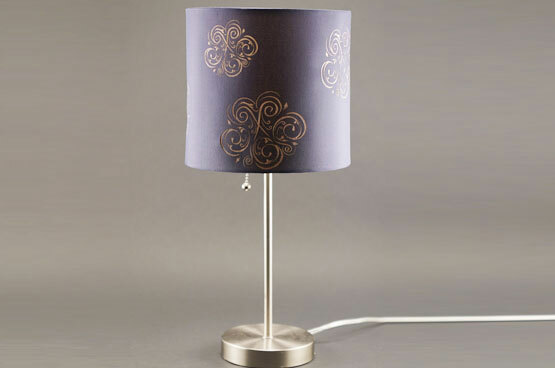 As the laser engraves the fabric lamp shade, it will remove the dye, leaving a bright, white mark on the fabric. 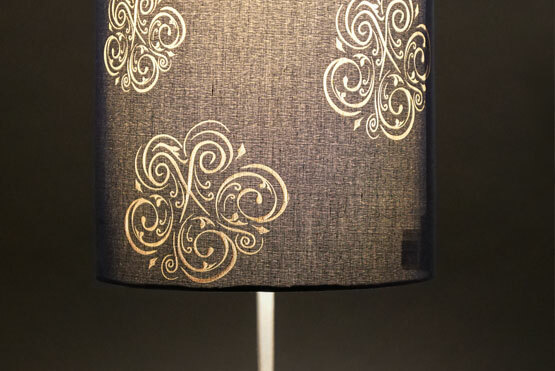 When the lamp is turned on, the light will shine through the etched areas bringing style and illumination to any room.